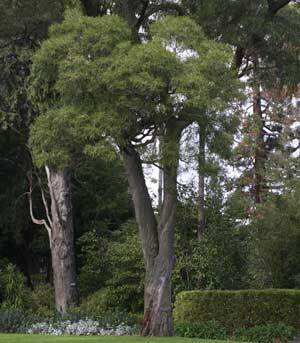 Acacia maidenii or’Maiden’s Wattle Trees’ are native to New South Wales, Queensland and Victoria and have been used in both the USA and India. A fast growing Acacia reaching 15m. Flowering in late summer Acacia maidenii or ‘Maiden’s Wattle’ will do well in full sun to part shade. This is a versatile tree that copes well wil most soil conditions except for waterlogged areas. Fast growing it will grow well in full sun to part shade. Pale yellow flowers from summer through to winter. Seed pods contain saponins. Bark is rough and on older specimens becomes deeply fissured.